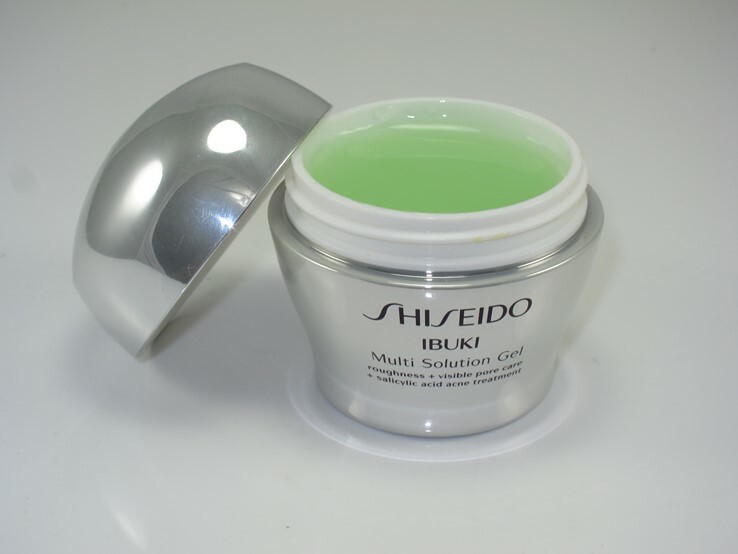 Shiseido Ibuki Multi Solution Gel Alive and Lightly Hydrating Your Skin! Shiseido Ibuki Multi Solution Gel is alive or potentially that weird jelly-mold thing from Better Off Dead! I haven’t decided yet. Summer is still here if the weekend was anything to go by! 90 + degrees, plenty of sun, and just the right weather for Shiseido Ibuki Multi Solution Gel because this lightly hydrating moisturizer is ideal for warm days and oily skin. I dunno what it is but I have a thing for memory foam-like skincare and makeup products. Shiseido Ibuki Multi Solution Gel is a lot like Illamasqua Hydra Veil in the fact it magically retains its shape (I suspect it might be alive!). This soft gel-like moisturizer bounces back to shape after you scoop a small amount out. 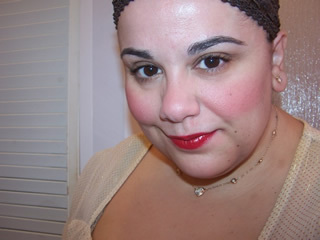 I just want to sit around and play with it all day rather than put it on my face. It’s ideal for those with oily skin or anyone prone to acne and breakout in need of a lightly hydrating moisturizer that isn’t oily or greasy. It’s my go to Summer moisturizer because it provides light hydration and wears well with SPF. It actually contains Salicylic Acid which I shouldn’t be using because I’m dry and blemish-free but I never felt like it dried my skin out, so, I’ve used it and repurchased it numerous times. The green gel has a light, refreshing fragrance and the formula absorbs easily into skin and leaves behind a smooth, soft surface for foundation and makeup. I like it because it doesn’t create unnecessary shine and isn’t a rich, creamy consistency that makes my skin too dewy or greasy. Mind you, this isn’t something I can get away with in the Winter but in the Summer it works a treat as it is a light, refreshing gel moisturizer. I’m just waiting for it to get up and slide away from my vanity at some point but until it does I’ll use it happily on my face on warm, Summer days! What’s your go to gel moisturizer when it’s hot out? Shiseido Ibuki Multi Solution Gel is available at Sephora.com and Nordstrom.com. My go to gel right now is Kiehls. But I’m with you Muse, I love these squishy jelly things. I have a serum from Tatcha that does this and I get such a kick out of opening the jar and it looks like it’s never been touched. The crazy things that make us smile, right? I’ve never seen Better Off Dead, I need to see that film! John Cusack looks so young in that, didn’t know he acted in the 80s. First time I saw him was in Point Grosse Blank. I love the Ibuki sleeping mask, this looks fun! I’ve seen Stand By Me and Sixteen Candles but didn’t click that he was in them! Need to go back and see them again, which is never a bad thing lol. I’m 39, but there’s still loads of 80s stuff I haven’t seen, I was more of a 90s teen tho I was a 80s child :-D.
I know, I know, I missed out big time lol ! I love 80’s movies. There’s a sort of innocence about them yet so relatable as teen movies.